Since September 2001, terrorism has dominated the headlines. But there is a much less discussed form of terrorism â€” assault on dissidents in which the very systems meant to protect them fail and hand them over to their killers. In Bangladesh, bloggers who question theocracy are slaughtered in broad daylight â€“ this year alone, at least eight dissident bloggers have been murdered. In Pakistan, dissidents and even lawmakers who break rank with the religious establishment are murdered with impunity â€“ often with their own bodyguards tipping off and aiding the killers. When they are not killed, Muslim reformers, dissidents and freethinkers are threatened, stalked and made to live in fear. With the continued advance of Islamic State and those who are inspired by them, the problem is growing. While some of these cases make headlines, many go unnoticed by the broader public. Worst of all, those who tacitly endorse such crimes are more prevalent than ever. Even in the United States, non-violent Islamists enthusiastically harass reformists on social media and at public events, spotlighting them with slanderous comments, inciting others to hate them, and leaking false personal information about them online. Nonviolent Islamists who knowingly cause dissidents to be targeted with harassment and threats arenâ€™t just allowed to continue their malicious activities â€“ they are positioned as representatives of the Muslim community in the media and even in the halls of political power, from Washington to London and even at the United Nations. It is when these individuals are granted legitimacy through political and social clout that they become even more dangerous. At the United Nations, the Organization of Islamic Cooperation (OIC) claims to represent all of the worldâ€™s Muslims and even purporting to fight anti-Muslim bigotry. 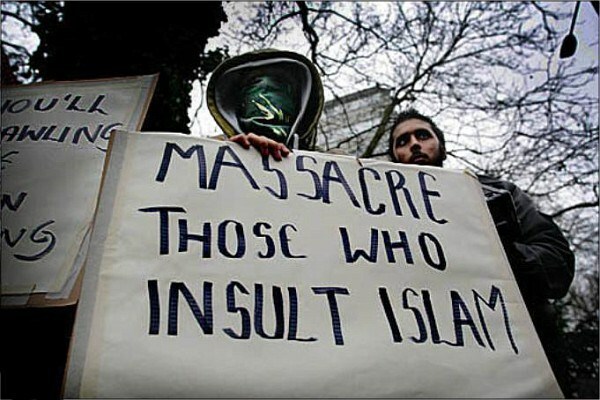 However, the OICâ€™s ideology and resulting actions â€“ which include seeking to criminalize any speech or art they deem â€œoffensiveâ€ to their interpretation of Islam â€“ are exactly what inspire radicals to slit the throats of dissidents. Their governments and attendant systems are the malignant cauldrons that brew the ideas, culture, legalisms, and ideologues that suffocate reform. The OIC, true to its name, has one purpose and that is to maintain control of the â€œHouse of Islamâ€ by Islamists and suppress the diverse voices of anti-Islamist, pro-liberty reformers. Each Islamist regime does both domestically and globally. 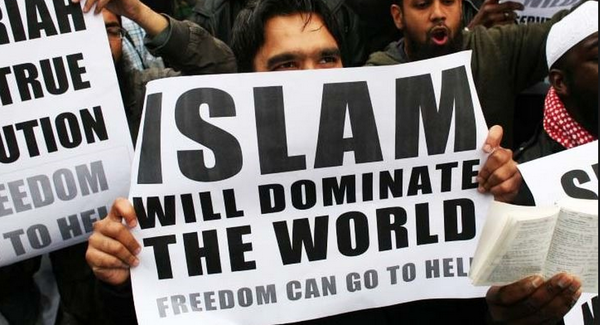 Domestically, they do so either directly or passive-aggressively by giving militants impunity over the murder of reformers, and globally they do so by making the free world in the West believe that Islamism and its attendant sharia states is the only possible form of Islam. How can this be stopped? Through the education of the Muslim community as to the nefarious aims of Islamist regimes and their sympathizers; and by holding politicians, the media and national security establishments worldwide accountable for their empowerment of the worst within the Muslim community. Note: Author is Muslim, comments also worth a read. Now that Football is no longer the national sport, perhaps Marksman Shooting can replace it. Just train for the day you get a couple of THESE in your hurtbox. Liberals will be gone by then they don't know nothing from the 2nd. By confronting, denouncing, disproving, and ultimately ending the charlatan Mohamed's hatefui fraud, Islam. By confronting, denouncing, disproving, and ultimately ending Islam. Websites that believe in free speech, like Patnet.